Having only a little experience with a formal agile process in practice, I'm finding some of the naming conventions rather odd. For example, iteration zero. I get the point of it and as a developer I like to have it but why do we call it iteration zero when it is not really an iteration at all? We're not doing user stories, acceptance testing and all the rest of what goes with a typical iteration. Why not give it's own name like we do for everything that gets done before iteration zero has - release planning. And if we're not ok with it having a special name, shouldn't we be consistent with the whole iteration concept and call release planning iteration -1. I suppose the PMO might not really appreciate that very much. 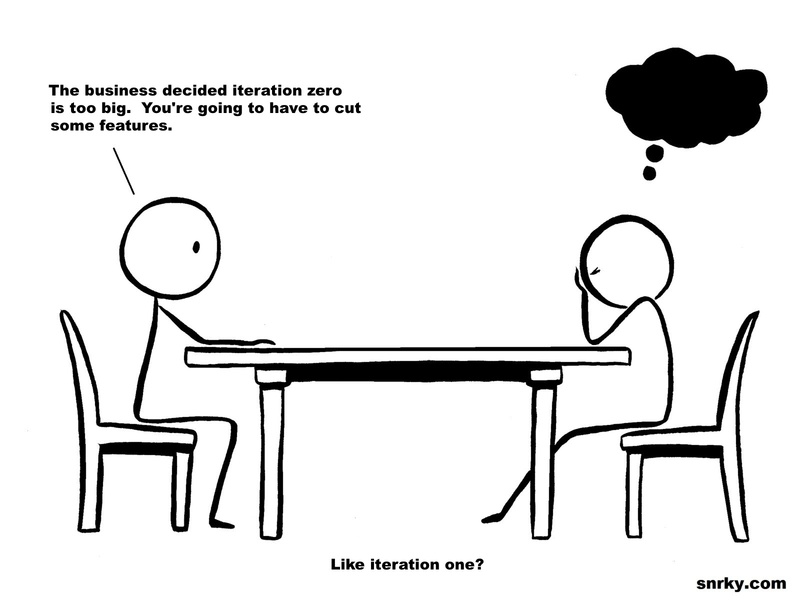 Snarky: The business decided iteration zero is too big. You're going to have to cut some features.